Andrea Wheeler - Florida - Book a consultation instantly! Andrea Wheeler grew up in Miami, Florida. 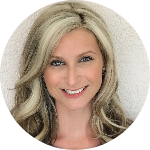 Andrea received a Bachelors Degree in Finance from Florida State University and then worked in Finance at a large technology company on the Space Coast before obtaining her law degree from Stetson University, College of Law. Before Andrea started her own law firm, she worked for in house legal departments and for a boutique law firm focusing on commercial litigation where she handled a variety of business disputes. Andrea's litigation experience taught her what agreements need to contain to stand up to a legal challenge and ways to protect her clients' rights. Her business background has been essential in applying legal advice to business matters. As a small business owner herself, Andrea is passionate about helping others grow their businesses while reducing risk and mitigating potential legal issues. Andrea formed her own firm to be able to provide personalized service to her clients.